the work of Cornificia, a Roman poet of the first century BC, was read for centuries, but has since been lost entirely? the Sicilian revolt caused so many slaves to leave mainland Rome that the Vestal Virgins prayed for the desertion to stop? the Conflict of the Orders which supposedly occurred in the ancient Roman Republic may not have actually happened? 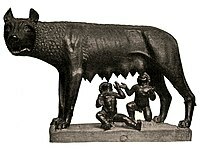 Lucius Volumnius Flamma Violens (The Raging Flame) was the first plebeian consul of the Roman Republic? Question 1: Rome's preoccupation with its war with Carthage provided an opportunity for Philip V of the kingdom of Macedon, located in the north of the ________, to attempt to extend his power westward. Question 2: The second consular army duly defeated the Macedonians at the ________ in 168 BC and the Macedonians duly capitulated, ending the Third Macedonian War. Question 3: ________ and slaves were part of the social order; there were slave markets where they could be bought and sold. What region does Roman Republic belong to? 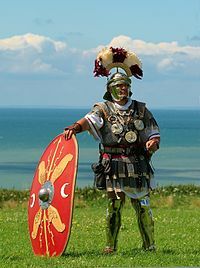 Question 5: The Roman military was split into the ________ and the Roman navy, although these two branches were less distinct than they tend to be in modern defense forces. Question 6: By the age of twelve, they would be learning ________, Greek, grammar and literature, followed by training for public speaking. Question 7: Fingers were used to eat solid foods and ________ were used for soups. What type of government does Roman Republic have? What is the legislature of Roman Republic called? Question 10: The consul for the year, ________, intercepted messages that Catiline had sent in an attempt to recruit more members.